The effect of paper pulp lip screen is to divide the fibers according their length. The same raw material can be divided into different length of fiber by paper pulp lip screen, and then different types of fibers are used for different layer of paper according to their own character. Short fiber usually means the fiber shorter than 120μm. It’s small fiber from recycling waste paper, which has been circulating utilized for many times. Short fiber doesn’t has good devillicate effect and interlayer binding force, since it stays in unbound state. Therefore, short fiber is generally made for filling layer of recovered test liner board paper. Mid fiber’s length is generally between 120μm and 150μm. It has certain strength. After heat dispersion and purification, it can be quite clean and used as the top layer of recycled test liner board paper. It can not only improve the cleanliness, but also ensure certain folding strength. Long fiber means the fiber between 150μm and 220μm, which own the best strength. But at the same time long fiber slurry often mingles more impurities. It’s suit for made the bottom layer of test liner board paper to increase strength of paper. 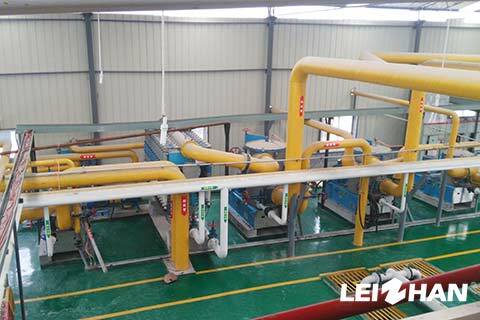 Leizhan provides lots of paper and pulp machine, welcome to contact us fo more details.